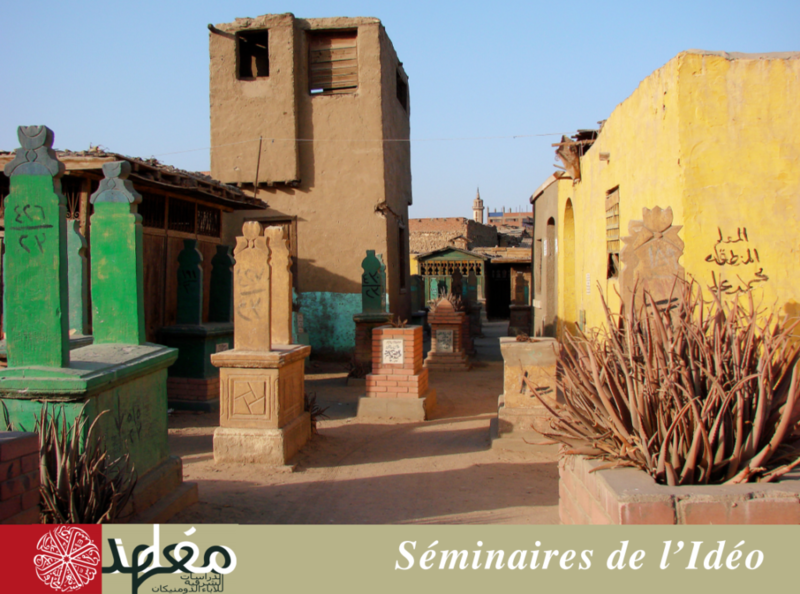 The city of Cairo has this special feature of having neighborhoods in cemeteries where you can also find mosques, schools for teaching the Qurʾān, steam rooms, and palaces, which amazed Ibn Ǧubayr (d. 614/1217) in his Riḥla. This phenomenon, which began with a combination of circumstances in the Fatimid era (beginning in the 4th/10th century), became a conscious decision on the part the Mamluks who deliberately built houses in these quiet neighborhoods starting in the 7th/ 13th century. This explains the existence of a very particular literary genre which exists only in Cairo. It also consists of real “tour guides” of these districts of the dead, known as qarāfa (plural qarāfāt) in Egyptian Arabic, probably in reference to the Banū Qarāfa tribe who had previously moved into this area. They are different from the kutub al-ziyārāt (“books of visits”) found in other parts of the Muslim world, especially since they never discuss the legal question of the lawfulness of these visits. Rather, they are limited to descriptions of the tombs and other buildings, as well as to the biographies of the people buried there. There are 25 of these books, written between the 6th/12th and 13th/19th centuries, only some of which having survived to today. They are organized either geographically (grave by grave), by the order of the visit, by categories of death (scientists, mystics, midwives, etc. ), or by year of death. The most famous of these works is probably the Kitāb al-kawākib al-sayyāra by Ibn al-Zayyāt (d. 805/1402).